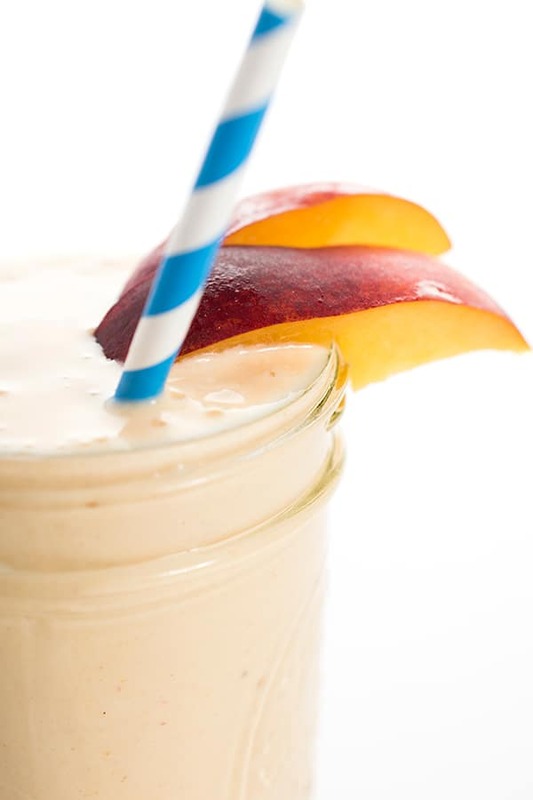 This thick and creamy peach protein smoothie tastes like summer in a glass. 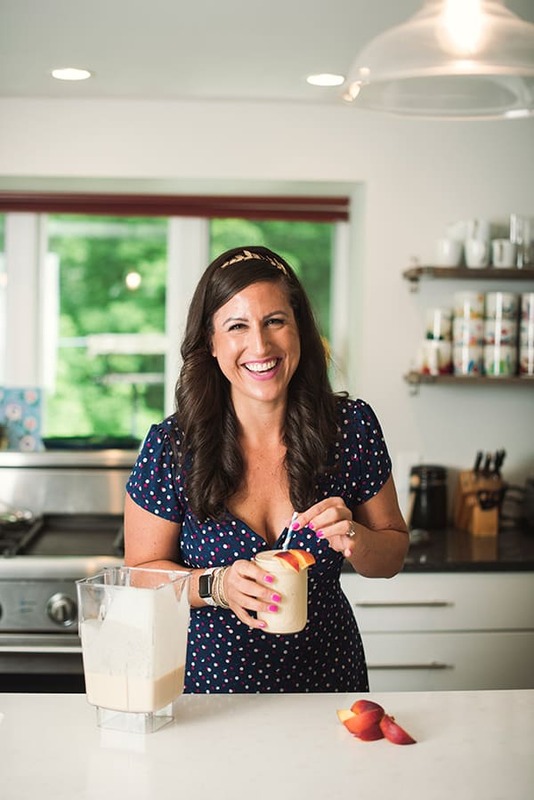 One reason I love starting my day with a protein smoothie is because the flavors constantly vary based on what is in season. When it comes to avoiding boredom with healthy eating, variety is key! 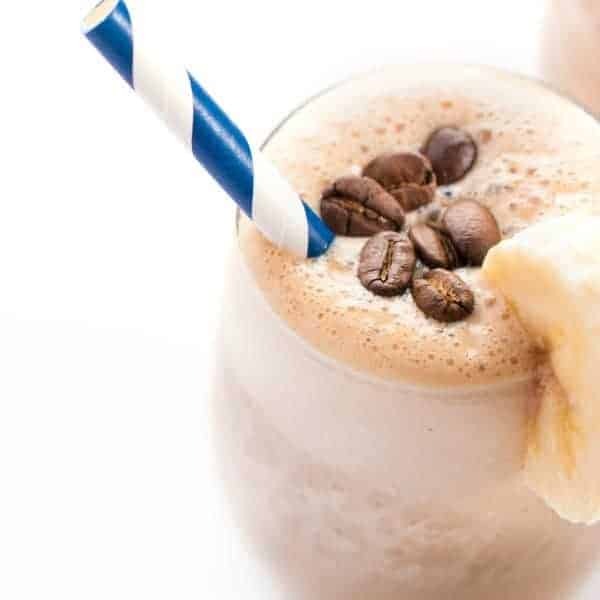 Like most smoothies, I love using a ripe banana to naturally sweeten the drink. 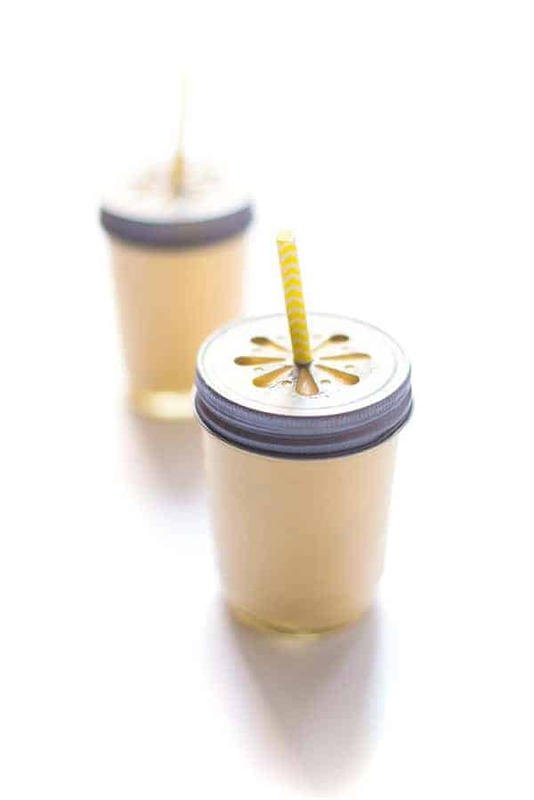 This avoids the need for added sugar through sweetened yogurt, honey, etc. Right now, peaches are in season where I live but other times of the year I’ll use blueberries, cherries, strawberries and more. If it’s not a growing season, frozen fruit is perfect. What’s great about using fruit that is ripe and in season is that you’re going to be enjoying it at it’s peak of sweetness. Additionally, this ensures that over the course of the year you are fueling your body with a wide variety of vitamins and nutrients and not eating the same 3-4 fruits all year round. 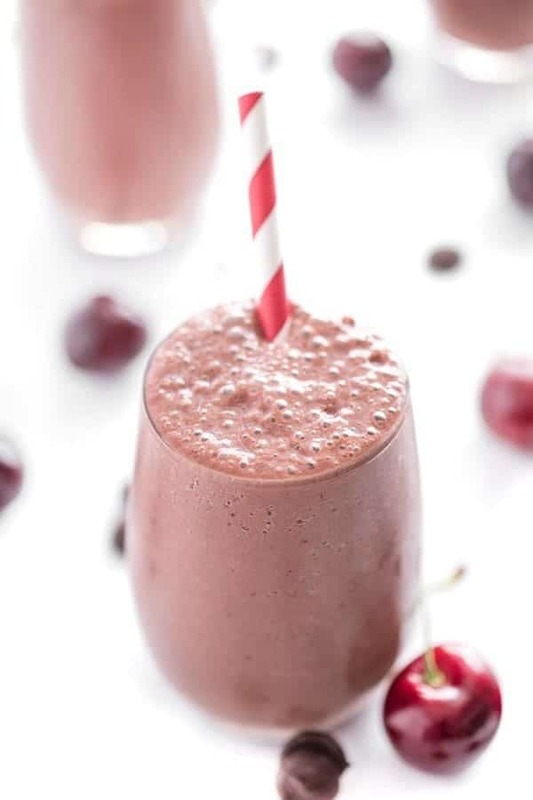 What’s your favorite smoothie flavor? I’d love to know! 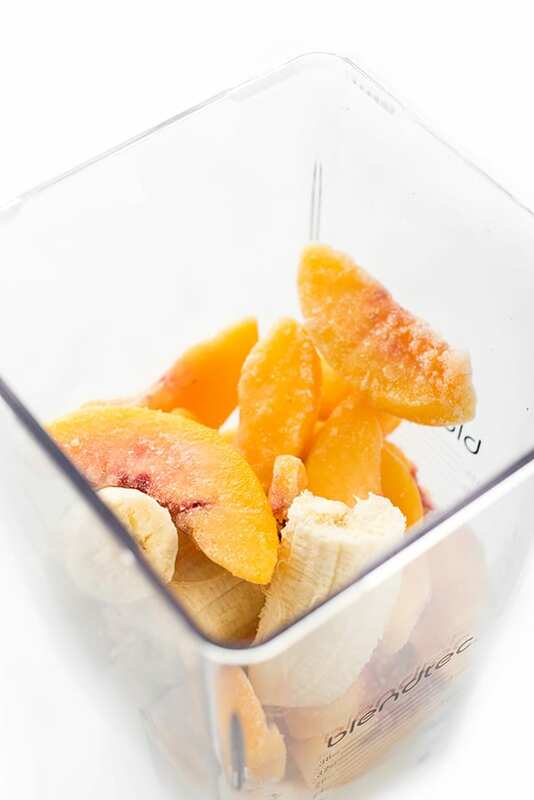 Place all ingredients in a high speed blender and puree until smooth. 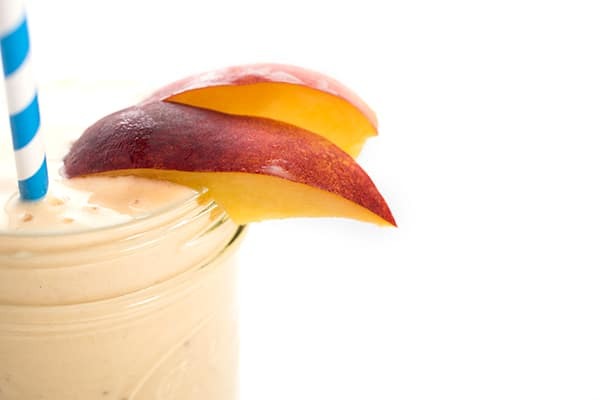 If using frozen peaches, you may need to add a little water to get the mixture blending. Add more or less ice to reach desired thickness. Wow. This is summer in a glass. I will have to try it for breakfast tomorrow – I have some frozen peaches. 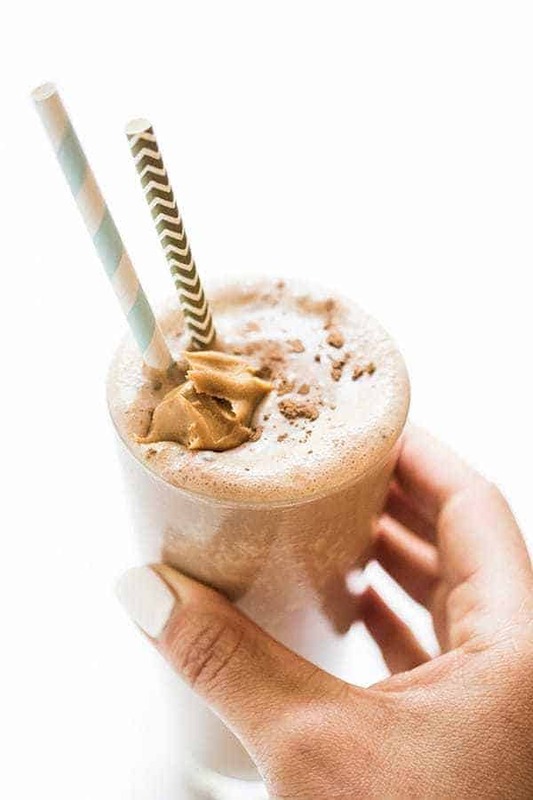 Right now (it changes frequently) my favorite smoothie is a cup of unsweetened almond milk, a small container of vanilla Greek yogurt, a scoop of banana crème protein powder, a sprinkle of cinnamon, a frozen banana and a graham cracker square. Tastes just like a banana cream pie. Yum. 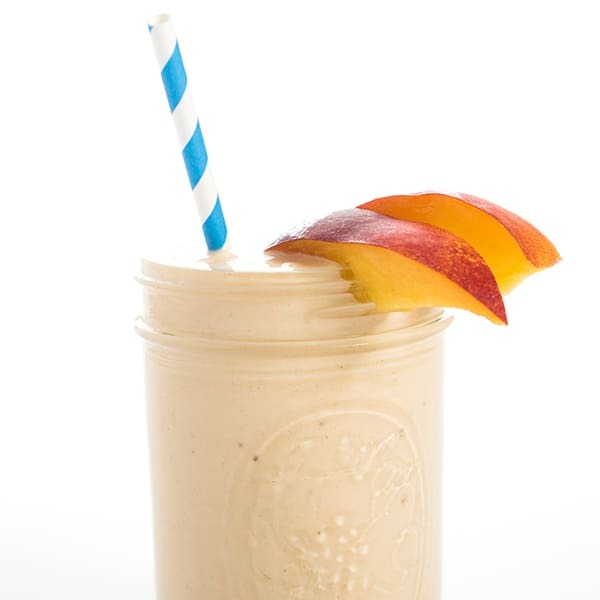 Perfect for frozen peaches!! Let me know what you think!